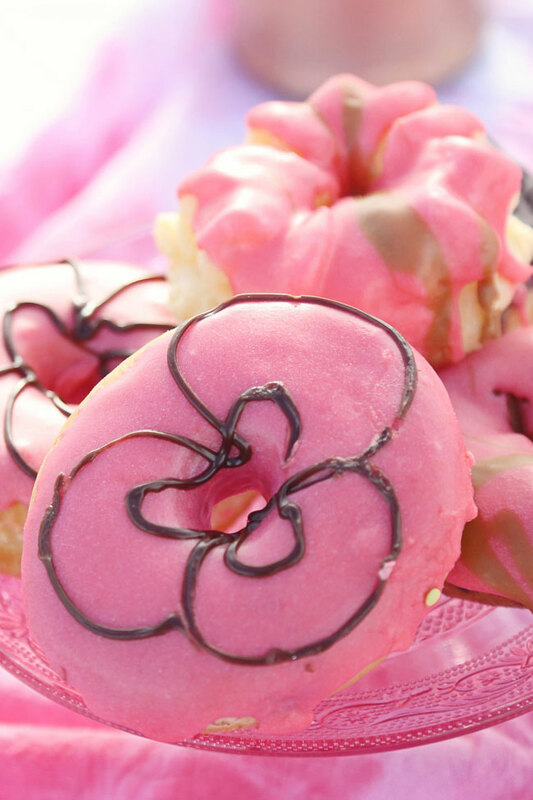 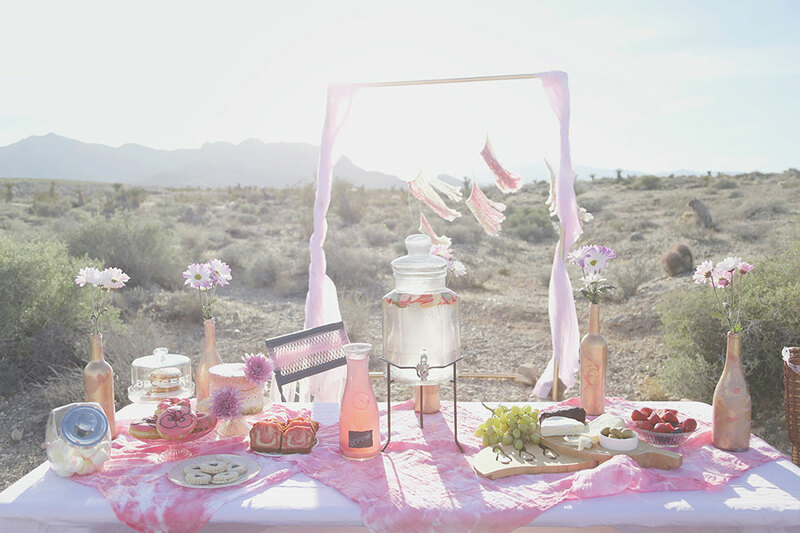 There is something about deserts that I find endlessly enchanting. 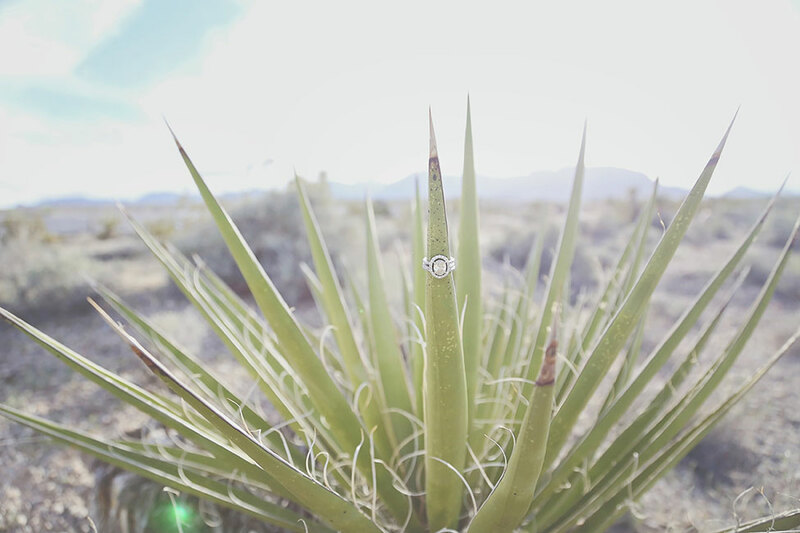 More to the point, I believe it is the desert’s naturally organic blank slate that continuously serves to inspire. 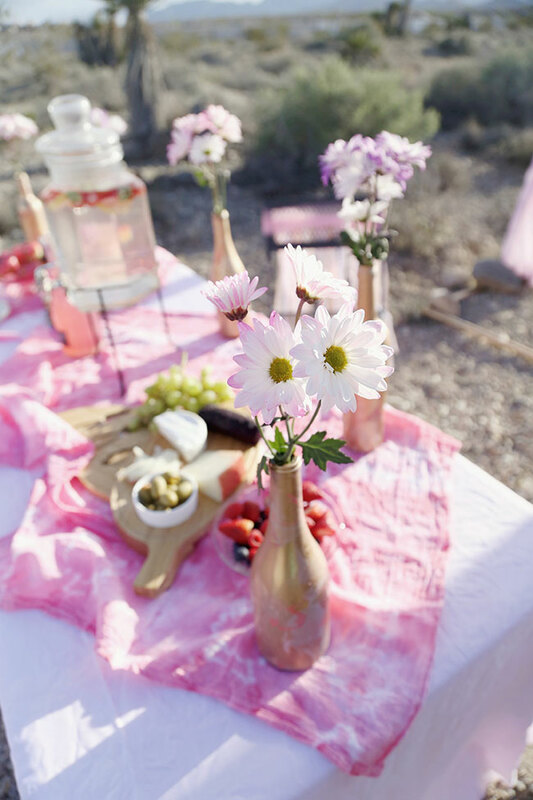 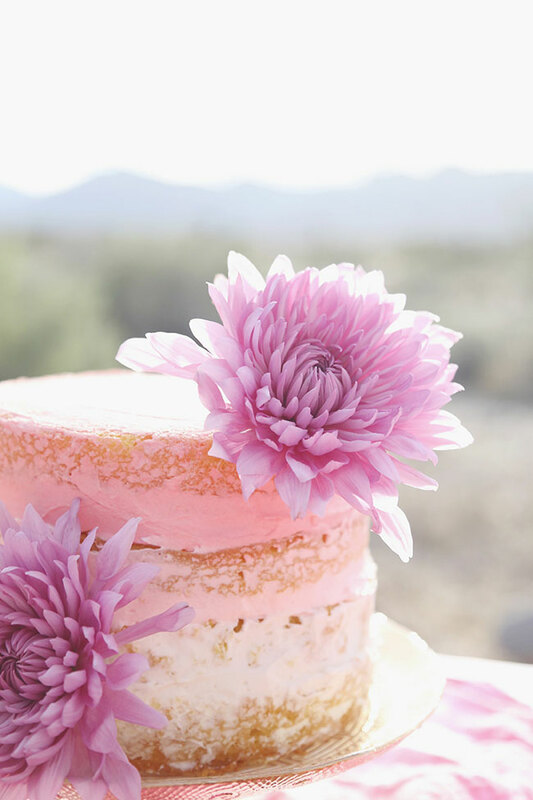 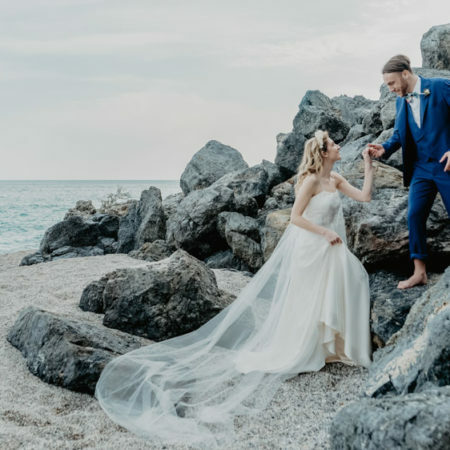 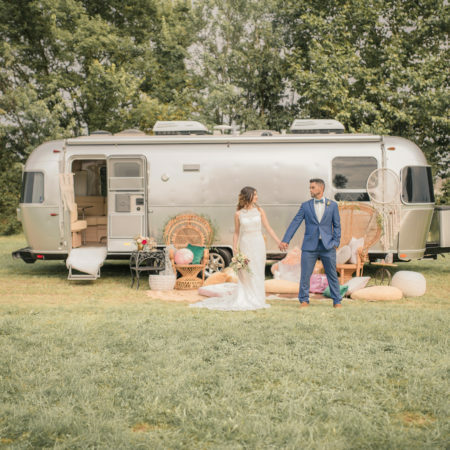 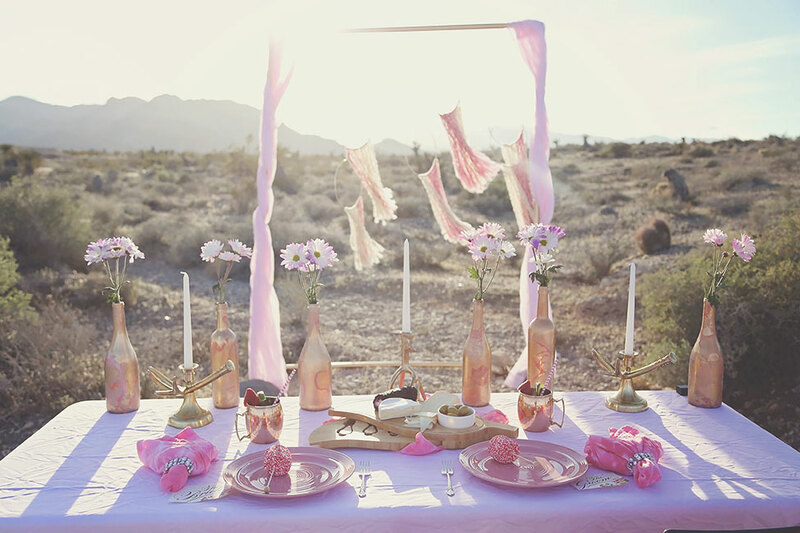 A wash in pale hues of soft beige, wisps of pink, dashes of green set below a bold blue sky, its no wonder that deserts frequently serve as the backdrop for styled shoots. 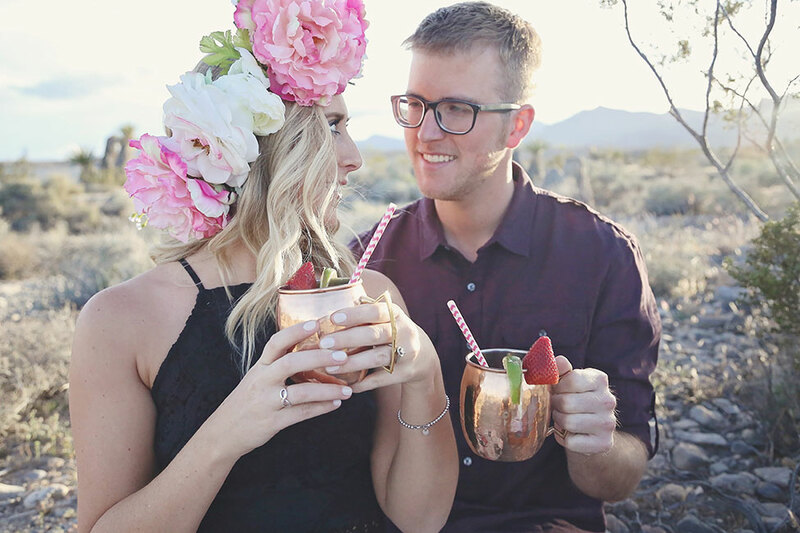 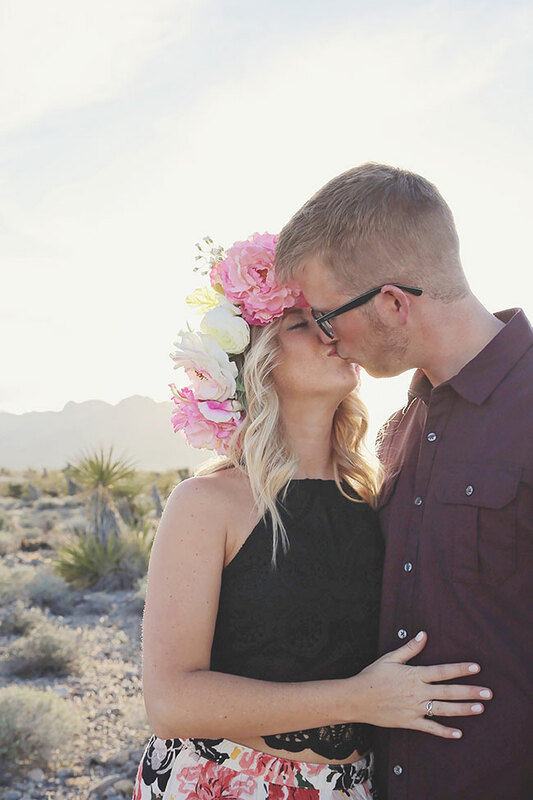 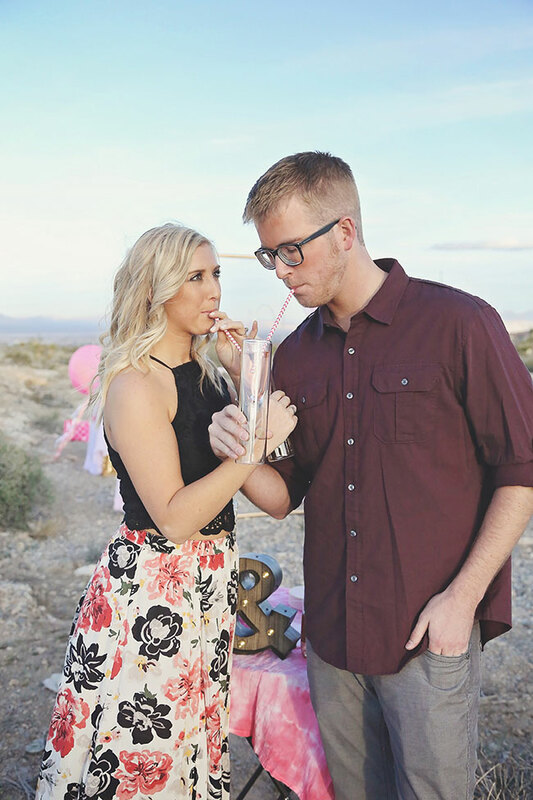 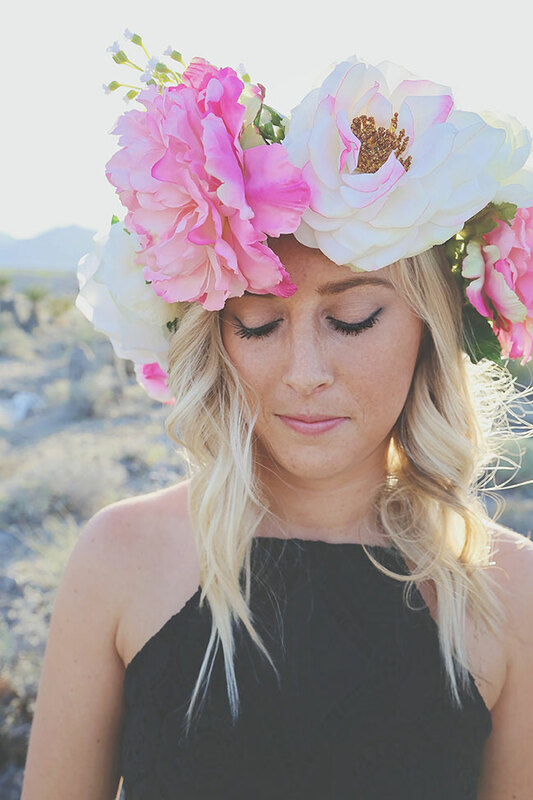 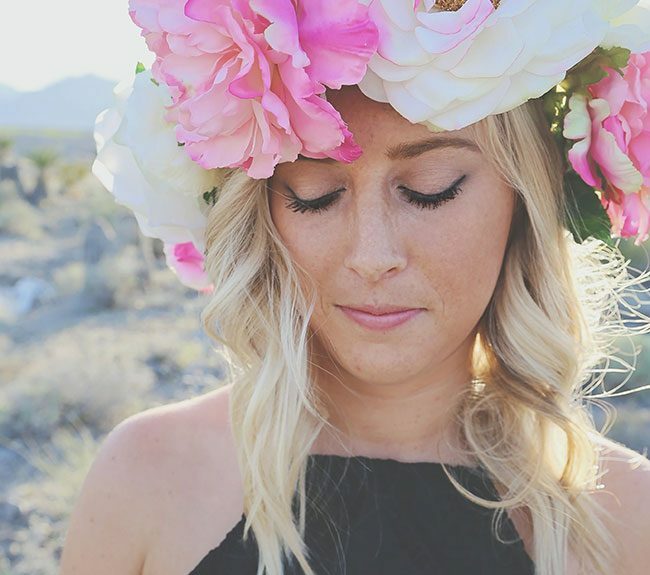 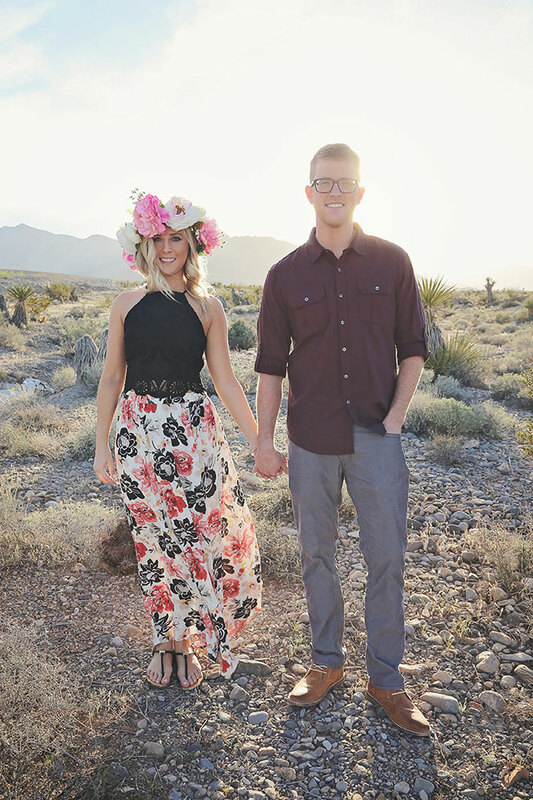 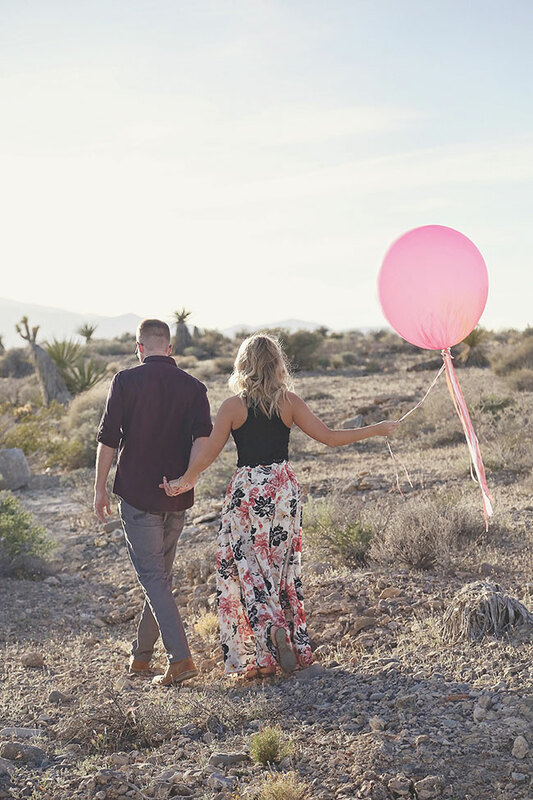 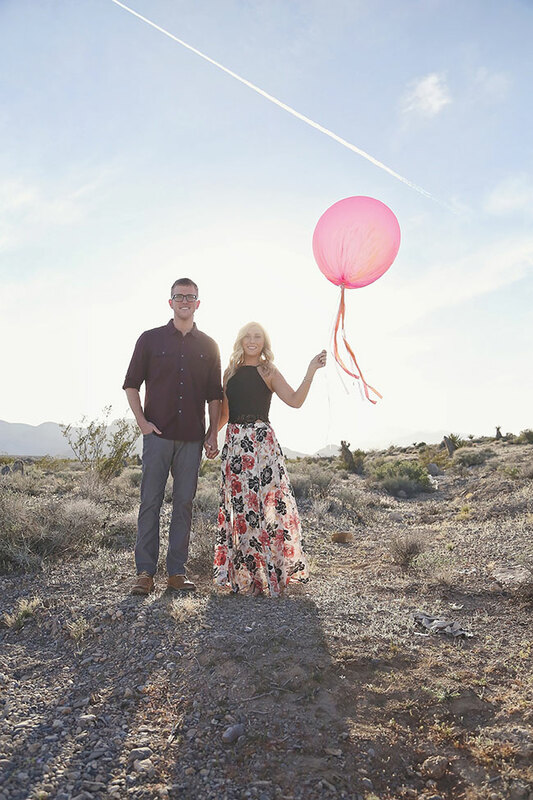 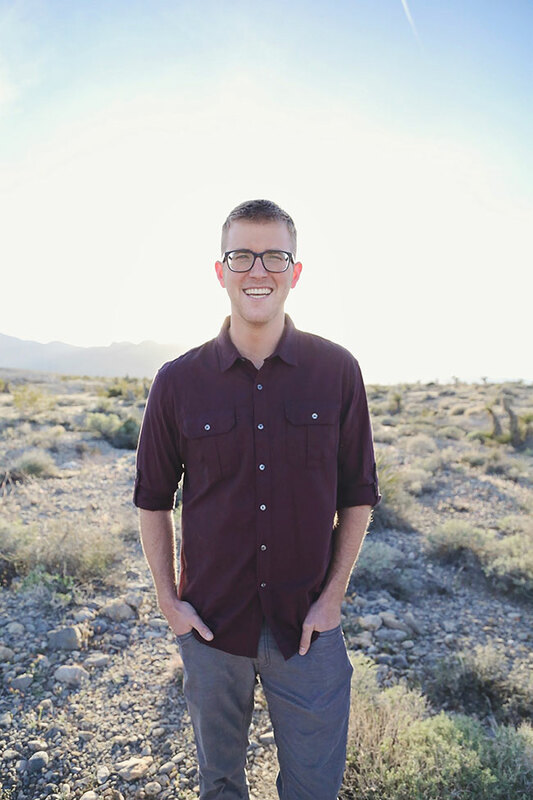 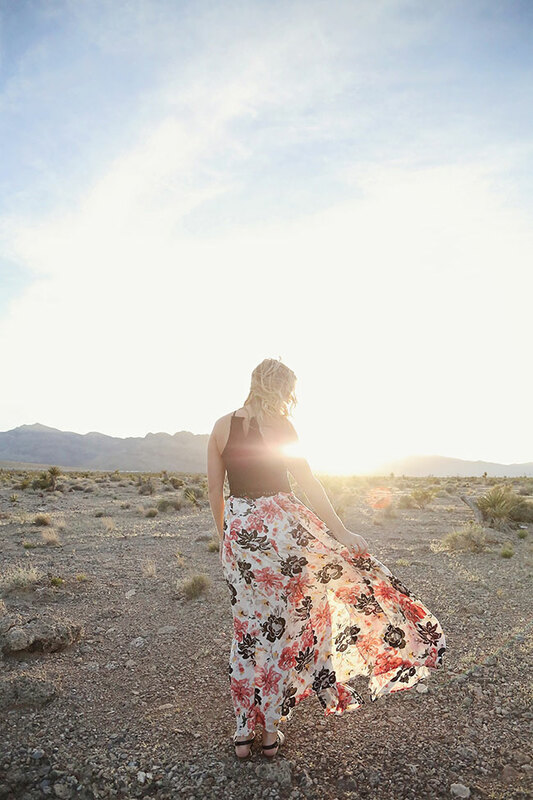 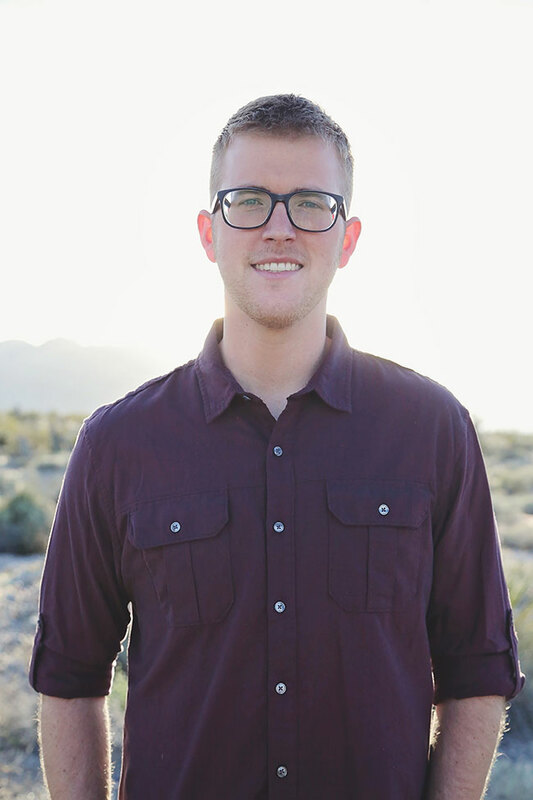 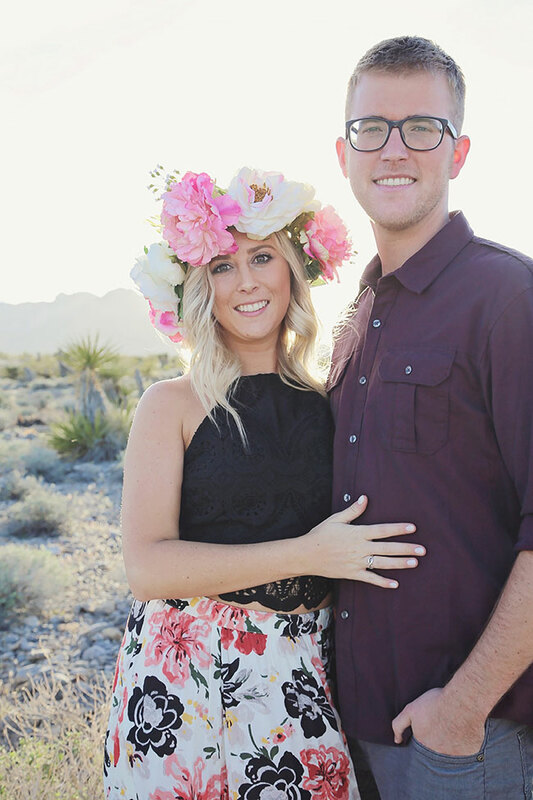 Today’s whimsical watercolor inspired Las Vegas desert engagement session from local Las Vegas wedding photographer Lissables Photography is a mind meld creation with event stylist Kali of Love Laugh Explore. 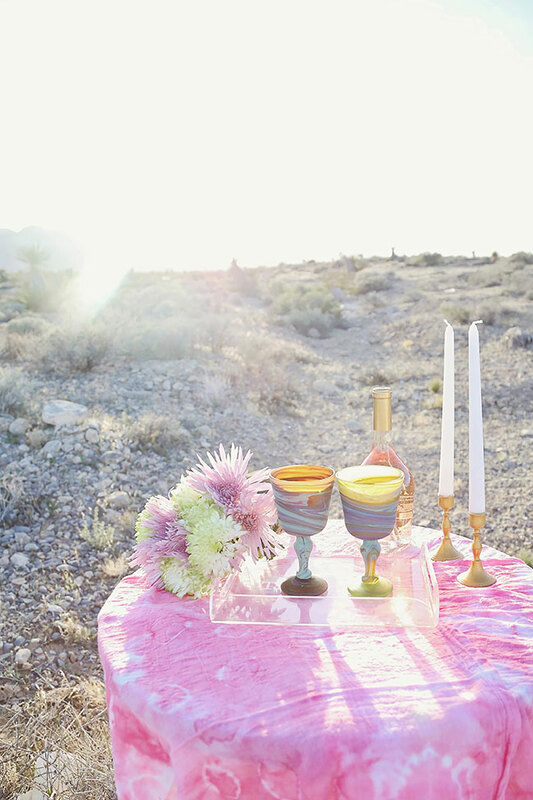 Hoping to capitalize on the pale pink hues of the desert in golden hour, the duo crafted a dreamy oasis that played on watercolor inspired hues. 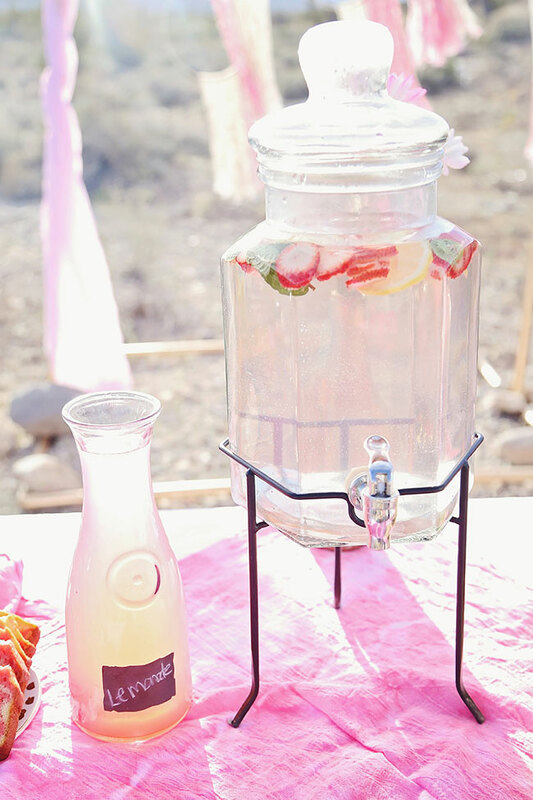 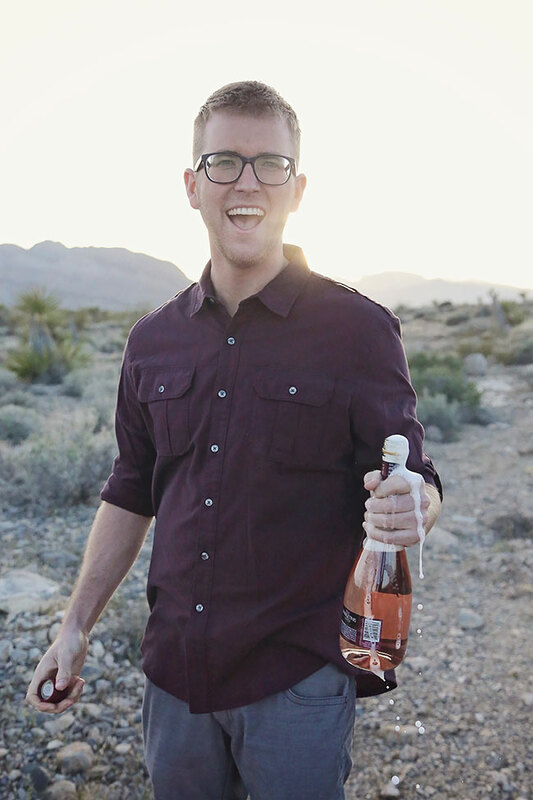 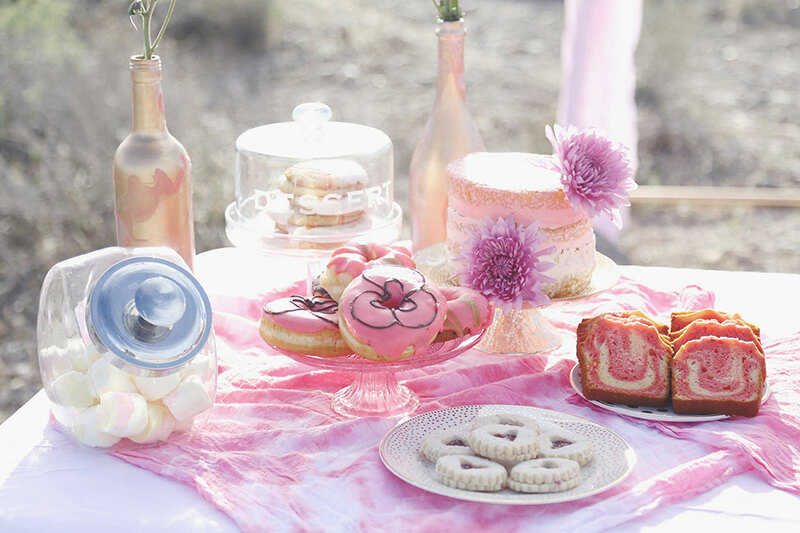 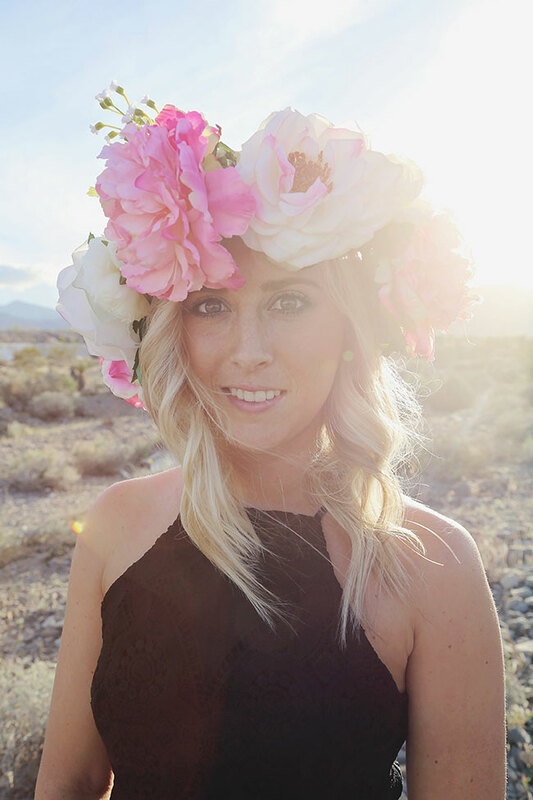 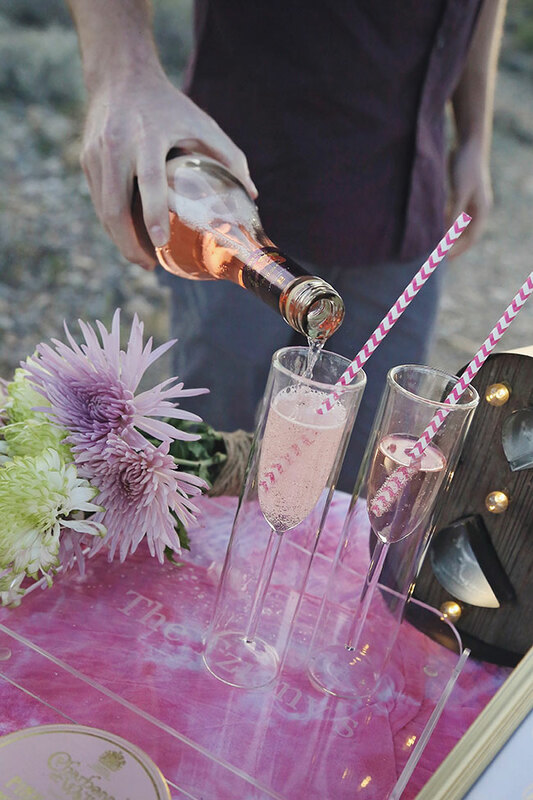 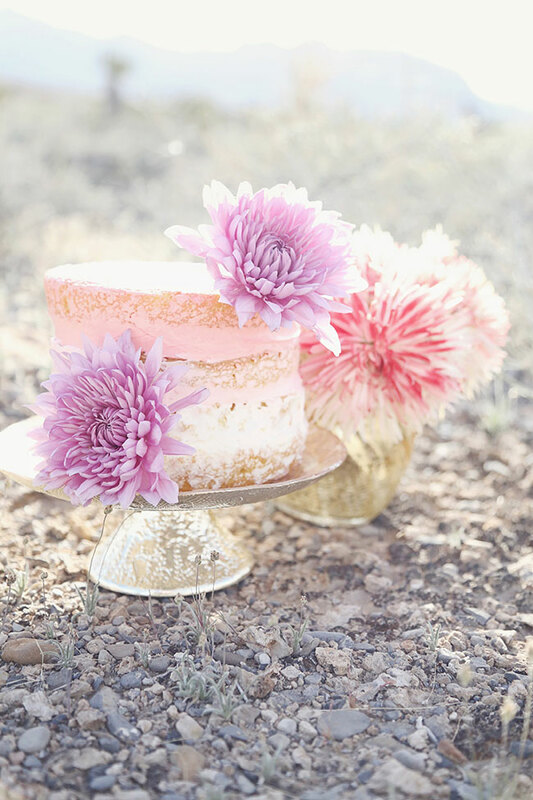 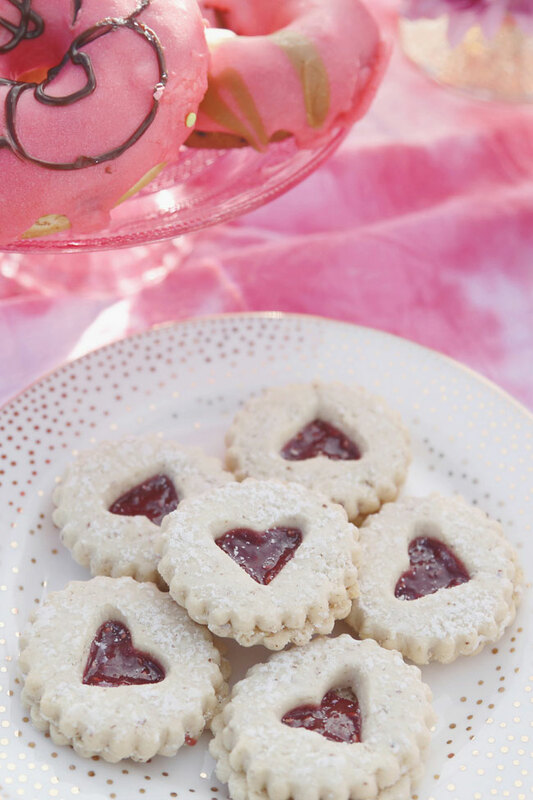 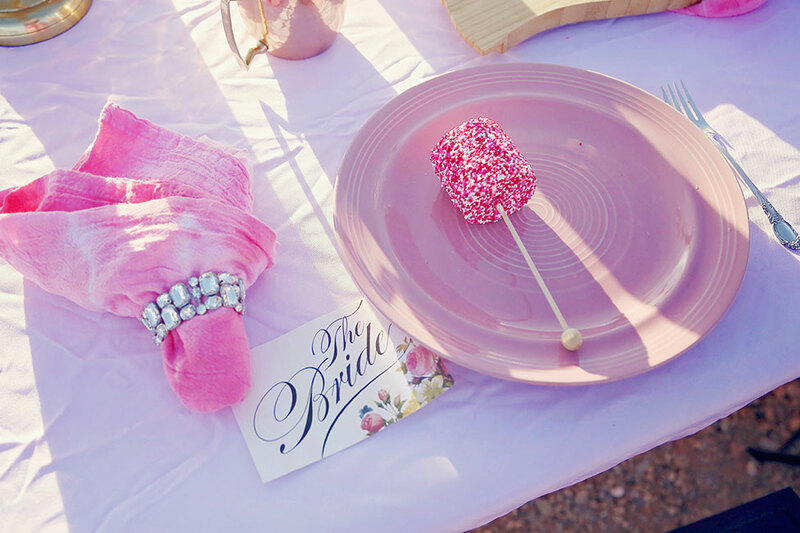 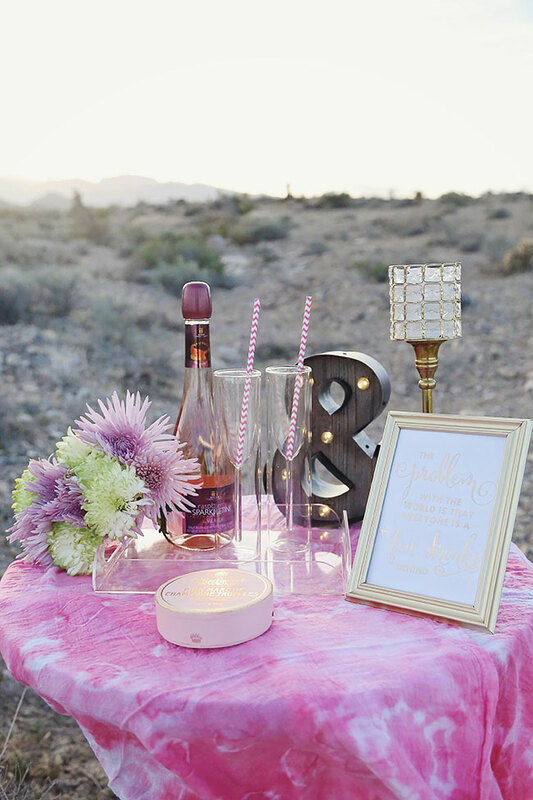 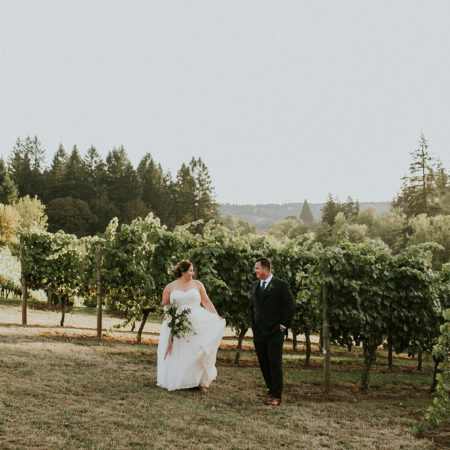 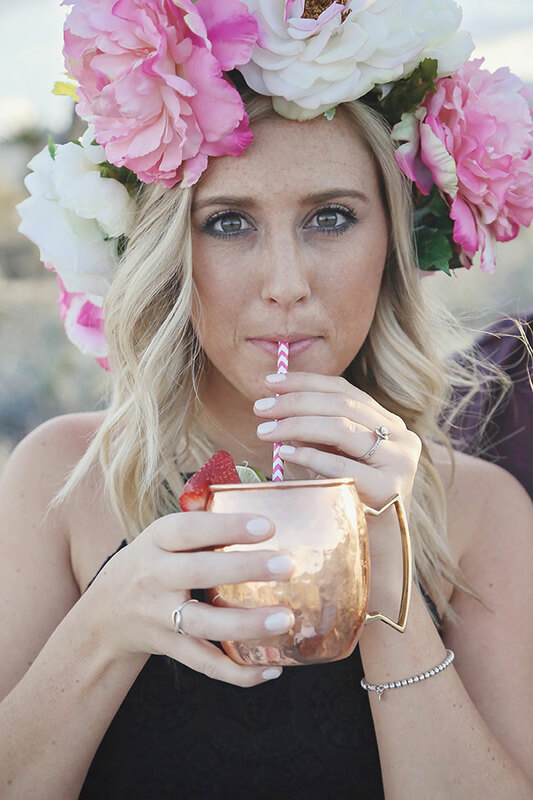 Additionally the desert engagement featured detail points like yarn hoops that dance in the wind, water marbled gold bottles, an over-sized pink balloon with ribbon streamers and a generous floral crown. 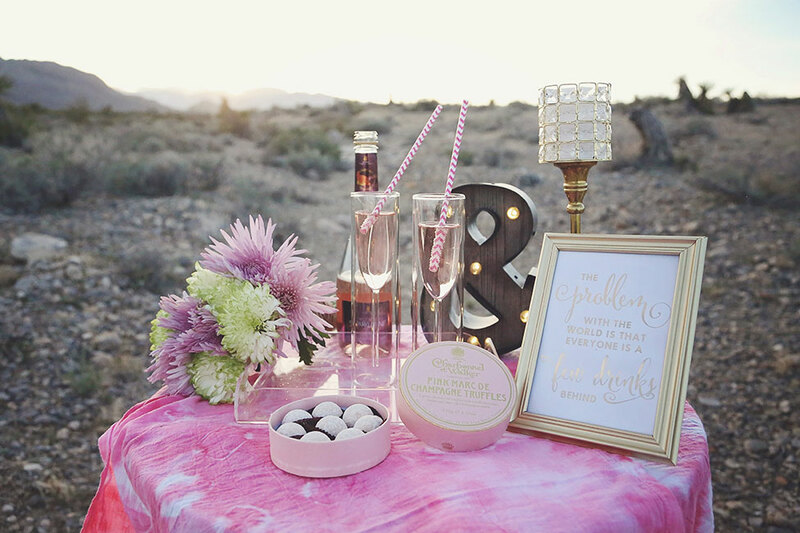 While each piece of decor serves up an alluring desert oasis appeal, it is the choice to work with details that either floated in the wind or bounce light around that truly captured the desert spirit! 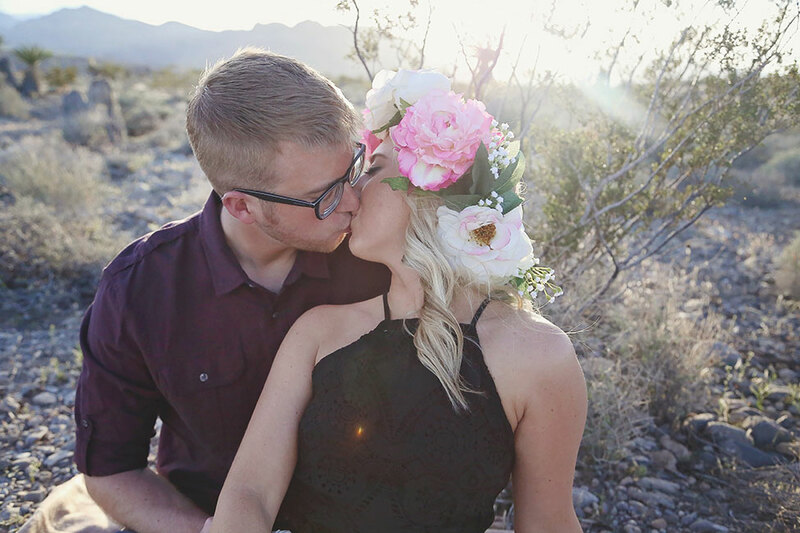 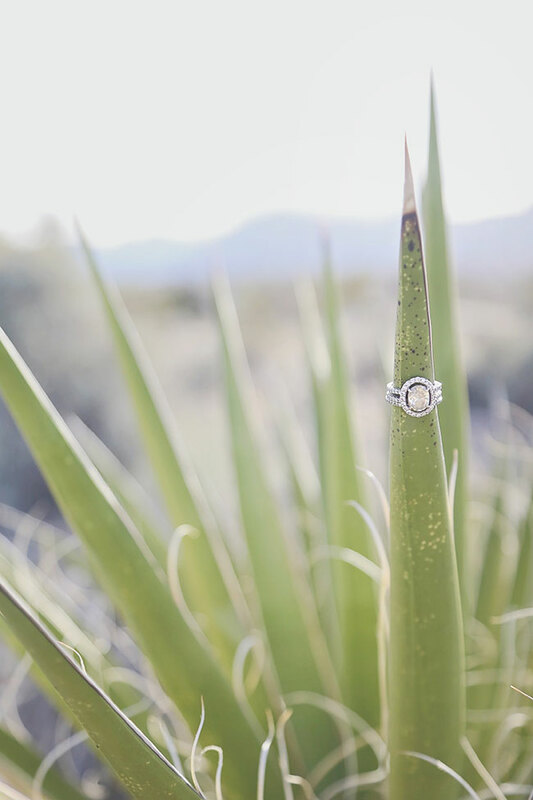 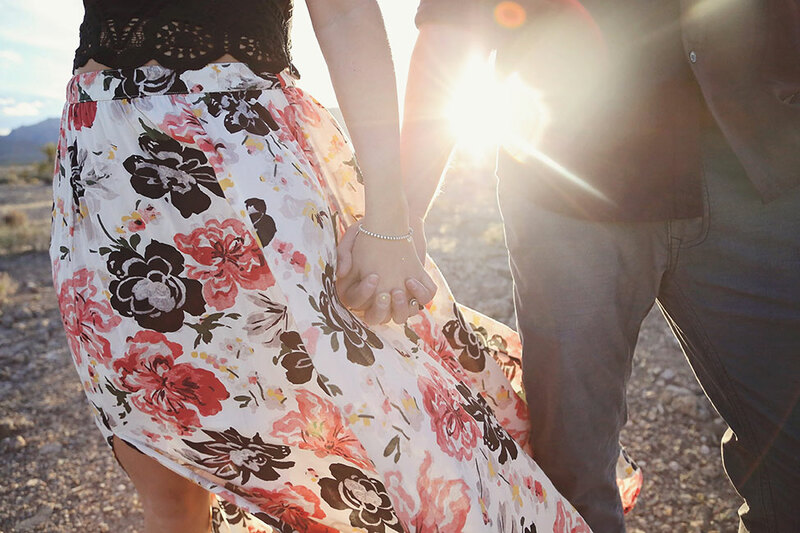 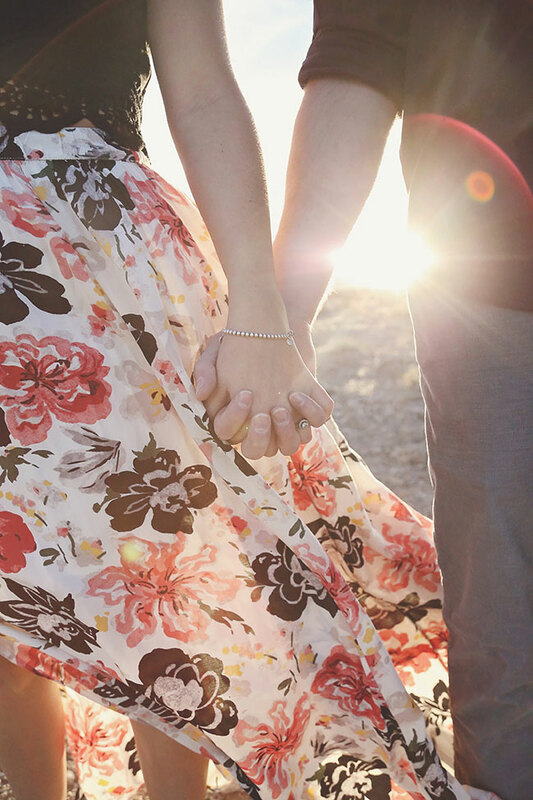 With just the right touch of styling, this desert engagement session went from something simple and lovely, to inspiring and otherworldly!